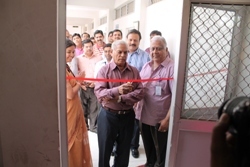 A full-fledged Language Laboratory has been setup in the college. 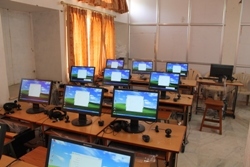 The lab has the Educational system which offers a variety of functions such as Recording, Test Preparation, Student Monitoring, Teacher/Student Call, Group Conferencing, etc. 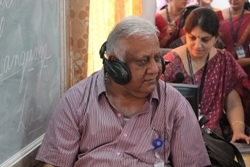 The main console is connected to 20 listening booths which have been specially designed for student-teacher interaction, and greater concentration for language learning. The lab also has a large number of cassettes and books. 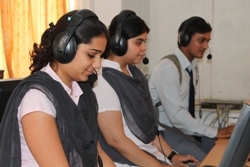 The Language Laboratory sessions also include word games, quizzes, extemporary speaking, debates, skits etc.